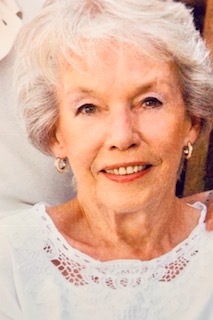 Noureen “Boodie” Byrd Ronchetto, 87, passed away peacefully in her sleep, February 5, 2019 at her Beau Ridge home in Ridgeland Mississippi. Noureen was preceded in death by her parents Lennia Friedman Kendrick and William Lloyd Kendrick, and brother Williams Charles Kendrick. Noureen was born July 24, 1931 in Virginia, Minnesota. She was a graduate of Daingerfield High School in Daingerfield, Texas. She received her Bachelor’s Degree in Physical Education from Texas Women’s University and her Master’s Degree in Education from the University of North Texas. Noureen was a life-long educator, retiring after forty years of teaching in the Texas Public School System, with the majority of her service at South Grand Prairie High School in Grand Prairie, Texas. She was head of the English Department and served as Year Book Sponsor. During her career, she also served as President of the Texas Classroom Teachers Association. Additionally, she was an active member of the Methodist Church where she enjoyed singing in the choir and serving others. She was a lifelong member of P.E.O. International Women’s Club. Upon retirement, she and her husband of 24 years, Dave Ronchetto spent many happy years at their lakeside home in Lone Star, Texas before moving in 2016 to Ridgeland, Mississippi. Noureen is survived by her husband David Anthony Ronchetto, sister Suzanne Kendrick Walker, son Barry Ray Byrd (Vicki) of Abilene, Texas, daughter Sara “Beth” Byrd Williams (Don) of Jackson, Mississippi, step-daughters Julie Ronchetto Nangano and Joni Ronchetto Pittman, Grandchildren Ryan(Amanda) Byrd, Colin Byrd, Grace Williams, Travis Williams and Jake Williams, Step Grand Children Payne Pittman, Paxton Pittman, Austin Nangano, Isabella Nangano and Mia Nangano and Great Grandson Benjamin Byrd. A Celebration of Life Service will be held at Parkway Hills United Methodist Church on Highland Colony Parkway in Madison, Mississippi at 3:00 PM on Friday, February 8th. Visitation will be held from 1:30 PM until 3:00 PM. In lieu of flowers, Memorials may be sent to: Northeast Texas Community College Foundation, PO Box 1307, Mt. Pleasant, Texas 75455; or First Baptist Church Jackson “Go Fund for Missions”, P.O. Box 250, Jackson, Mississippi 39205.